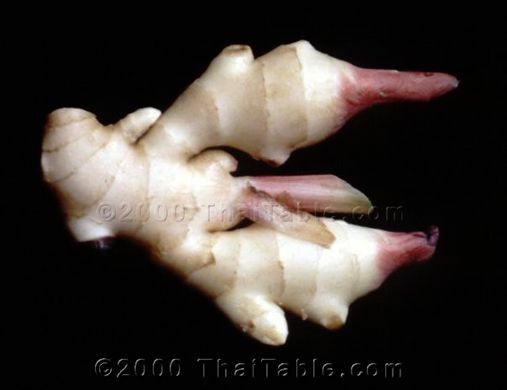 This is ginger root that has not matured yet -- it has yellow skin that is not at all wrinkly or hard. The flavor is not as strong or hot as old ginger. Even though the skin is thin, you will still want to peel it. Thinly sliced baby ginger, pickled in vinegar.